So AirCanadaVacations.com just dropped the price of their June 19 to 26 flight from Regina to Cancun, Mexico down to about $300 roundtrip after tax. Pretty great price right? Well here's where it gets really interesting. With this deal, children only pay the tax. This is highly unusual, as on most flights children usually pay full fare, same as an adult. $1066 roundtrip after all taxes/fees for all 4 flights. That's $266 per ticket. Looks like the age cutoff for paying the 'tax only' is 12 and under. 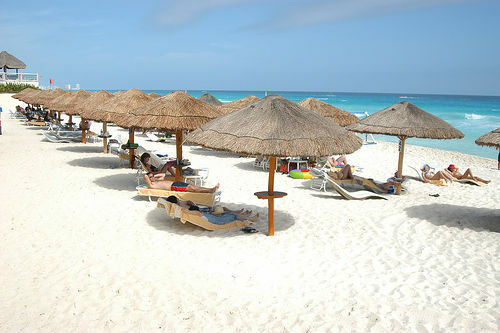 regina, yqr, flight deals, mexico, air canada vacations, cancun and cun.